Vilification. This word, to writer/director Kevin Smith, could mean dragging painful, uncomfortable memories of his youth/adulthood into the public's spotlight just for a laugh. The unwritten law of what is funny and what is offensive has never thwarted Smith from poking fun, mostly at himself. Who else would make light of a near-fatal heart attack by singing during the procedure to implant a stent? "The [doctor] went in there, and they keep you awake while it's going on," Smith told Today earlier this year. "I was talking the whole operation—I was singing the theme song to Degrassi 'cause it's very hopeful." Smith almost died this February shortly after recording his comedy special Silent But Deadly, an eerie title considering what the New Jersey native was about to experience. But Smith isn't slowing down, still taking on a plethora of roles, from directing CW's Supergirl and The Flash, to producing his podcast, Hollywood Babble-On, with co-host Ralph Garman. Suffice it to say, The Nutcracker ranks alongside It's a Wonderful Life and A Christmas Carol among perennial holiday classics, one that's timeless in all its trappings. Ballet West has kept that tradition alive with this year's production, marking its 63rd annual holiday presentation. 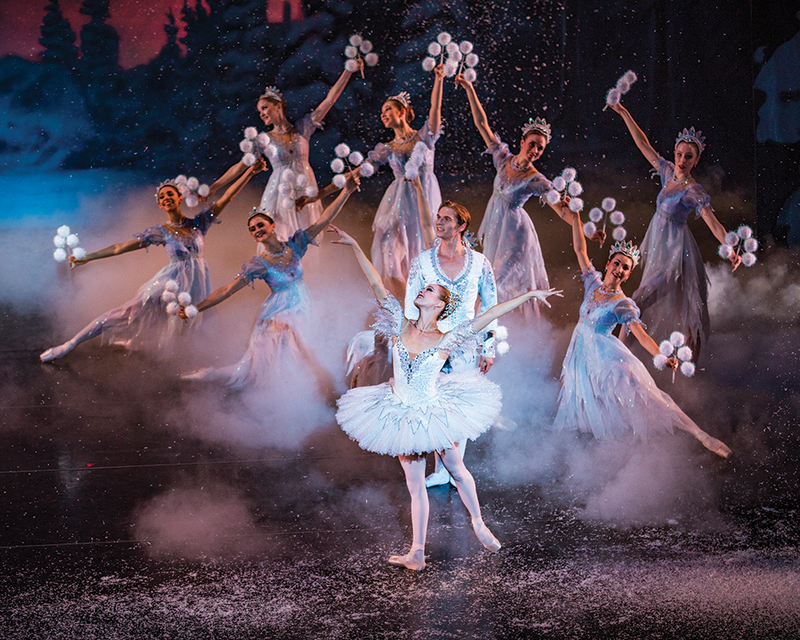 After premiering in Saint Petersburg, Russia, in 1892, The Nutcracker made its American debut with the San Francisco Ballet in 1944 and subsequently came to Utah in 1955. Ballet West's version represents the longest-running annual production of any American dance company. Last year, Ballet West unveiled new sets, props, costumes and special effects, marking the first time since the late '80s that the company has changed its treatment. Notably too, for the third time in 10 years, Ballet West will present its production of The Nutcracker at Kennedy Center for the Performing Arts in Washington, D.C., just before its local run. Based on the fairy tale by E.T.A. Hoffmann, and with the music of classical composer Pyotr Illyich Tchaikovsky, The Nutcracker shares the story of a girl named Clara, who's given a nutcracker by a mysterious stranger, then falls asleep and dreams about sugarplum fairies, marauding mice, gingerbread soldiers and a perfect prince. It provides something we could all use these days: fantasy with a happy ending. Many people idealize having an "old-time" Christmas. Whether it's classic movies from the mid-20th century or the storied traditions of Dickensian England, there's something about this time of year that makes people want to look back longingly through history. For the 2018 holiday season, the artists at Utopia Early Music invite everyone to go really old school with Noël! A French Baroque Christmas. 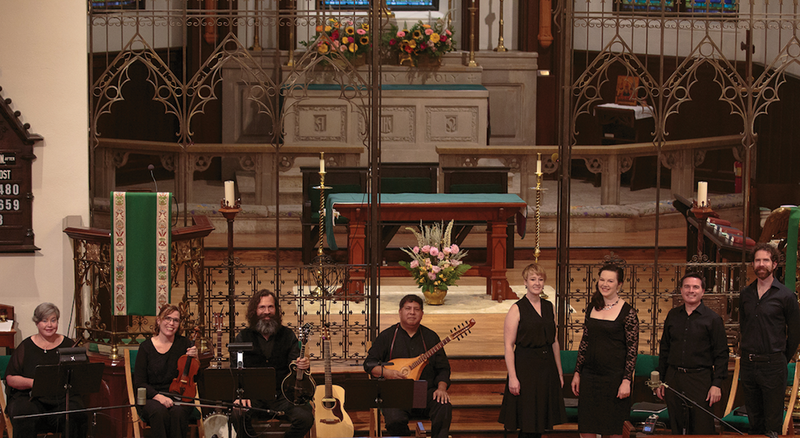 Now in its 10th year, Utopia Early Music regularly gives Salt Lake City a chance to experience classical music in the way it was first performed centuries ago. For the upcoming program, the audience might find itself experiencing familiar tunes in new ways. "Imagine if you were in church and suddenly heard the choir singing a prayer to the tune of 'Jingle Bells!'" Utopia's Christopher LeCluyse says of the evening's centerpiece composition, Charpentier's Messe de Minuit pour Noël. The piece "weaves together 11 popular French Christmas songs into a beautiful and festive setting." LeCluyse, a tenor, co-founded the Utopia venture with soprano Emily Nelson, and both will perform along with mezzo-soprano Megan Lee and baritone John Bergquist, while accompanied by musicians playing period-appropriate instruments, including baroque cello and harpsichord. A president is suspected of scandal. An administration is in disarray, its inner circle under investigation. Sound familiar? There's ample reason to perceive some dejá vu. Echoes of the Watergate affair, the real-life detective drama that forced Richard Nixon from power, are being replayed in 2018's halls of power. The man who helped expose the bungled burglary at the Democratic national headquarters in Washington's Watergate complex might have the most reason to suspect history is repeating itself. 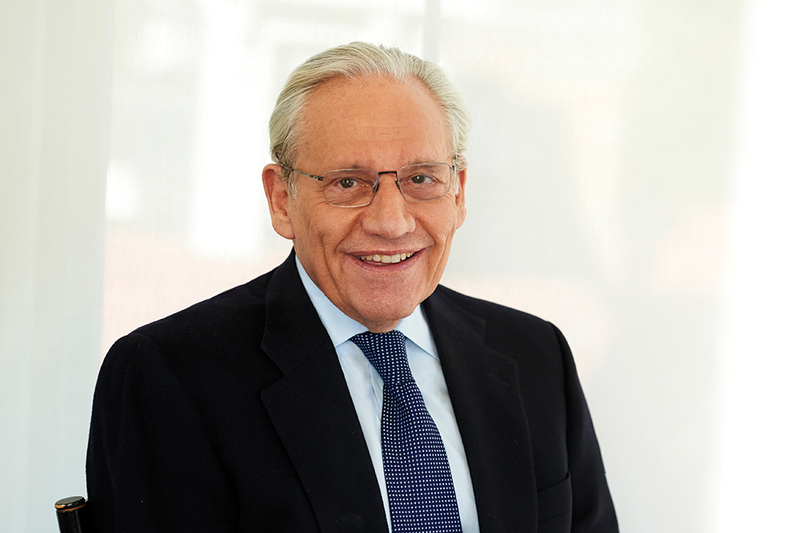 Bob Woodward, along with Washington Post colleague Carl Bernstein, remain icons of journalism for their Pulitzer Prize-winning book All the President's Men, a retelling of their investigation into the scandal that shook a nation. "It has echoes," Woodward remarked by phone ahead of his scheduled evening in Park City. "In Nixon's case, there were tapes that showed a clear obstruction of justice. This may be that, but everyone is waiting on [special counsel Robert] Mueller. There's a lot of unsavory activity, to say the least." Woodward's recent book, Fear: Trump in the White House, offers a behind-the-scenes account of the chaos that's rampant in the farthest recesses of the White House. It's a scary scenario that again grips the country while provoking further wrath. With journalists under siege and ludicrously labeled "the enemy of the people," Woodward sees the present administration succumbing to the strategy Nixon employed during Watergate.